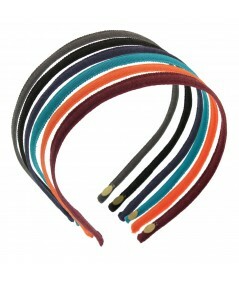 Home > SHOP BY>HEADBANDS BY WIDTH>1/4">Vintage Ribbon! Basic Skinny Grosgrain Ribbon Headband - Many are Vintage Colors! The Classic Millinery Material in its Simplest Form! Jennifer's Classic Design is a Must Have for Every Fashionista!